Sometimes writers write messages for their future selves. A great example of one who did this was Clifford D Simak. 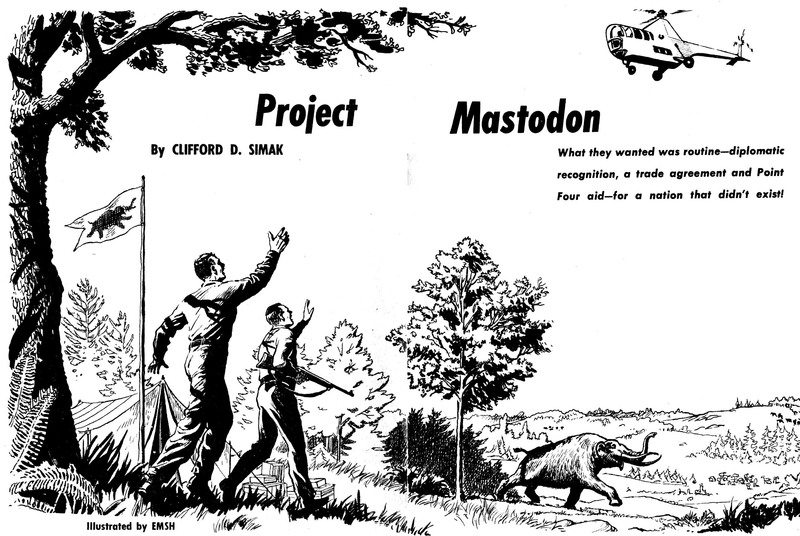 The March 1955 Galaxy published a Simak story called "Project Mastodon." And it was a worthy time travel tale about creating new countries in time, not space. Three friends invent a primitive time machine that can make 50,000 year leaps, but find it very hard to profit by it when nobody will take them seriously. The US military treats them like a bunch of crackpots. When the men get stranded in the past after a mammoth crashes into their helicopter, they wrack their brains for someway to get back. The problem isn't the time machine, but the height. If they were to go back standing in Mastodonia they would end up under tons of earth. In the end, one man manages to get home but we have to wait to see if he can save his friends, even with the help of the military man who never lost faith that the travelers would return. As time travel stories go, it is typical of the 1950s. No Morlocks here, only a puzzle story and a little action with sabertooths and mammoths. But buried in that story is a nugget, a time-release seed that will twenty-three years later become the novel Mastodonia. That little, almost unimportant fragment is a character named Pritchard, who is studying Law while the time machine inventors study Engineering. During a bull session on time travel, Pritchard pipes in: "If you guys ever do travel in time, you'll run up against more than you bargain for. I don't mean the climate or the terrain or the fauna, but the economics and the politics." In the scope of "Project Mastodon" this means the stuffy military men who poo-poo their suggestion of recognizing Mastodonia as a country and using it as a sanctuary in the case of a nuclear strike. Twenty-three years come and go. The Golden Age turns into the New Wave and then into the age of Star Wars. It's 1978 and Simak gets that message from himself and thinks, "I left all the best stuff unwritten!" 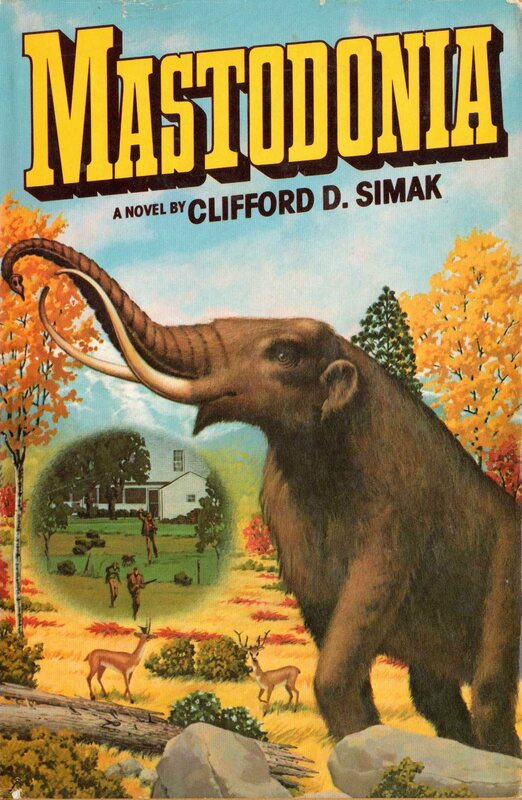 And so the novel Mastodonia (Catface in the UK) is penned and we see Clifford D Simak at his finest. Instead of a mere puzzle story, we get a tale about living characters. Asa Steele, a professor who has returned to the town where he grew up. Rila Elliot, a woman from Asa's past, come back into his life just as things get weird. Ben Page, the local bank manager, who becomes his business partner along with Rila. Instrumental to the story is Hiram, the simpleton who talks to Asa's dog Bowser, robins, and best of all to Catface, an alien who has been stranded in Asa's backyard for thousands of years. Unlike in "Project Mastodon," it is Catface who creates the time paths. This weird bunch, along with lawyers and publicists, establish Mastodonia and offer time paths for hunters to stalk T-Rex in his own Cretaceous period. Simak is great for showing how time travel would bring on some big social issues (largely ignored in the earlier story). A religious coalition wants to pay Time Travel Associates to never go to the time of Jesus. The IRS sniffs around for tax income, but having established their own country, the time travelers are safe. Speculators want to go to Gold Rush areas before the big strike and skim off the easy gold. The federal government even gets in on it when they come up with the idea of sending the disadvantaged into the past to create a new, successful life (or simply to get rid of the deadbeats and criminals.) Asa is a simple man and all this is too much for him. All he craves is solitude in his own time period of Mastodonia where he and Rila will build a beautiful home. In their time country, Asa and Rila and Hiram enjoy the company of (the unfortunately named) Stiffy, an elderly mastodon. Unlike the excitement in "Project Mastodon," Stiffy doesn't strand anyone in time, but only trashes their mobile home. In fact, the novel isn't a series of spectacular action sequences involving prehistoric life (though it has a couple of good dinosaur scenes), but a story about how a man makes decisions about what he wants. This is the brilliance of the twenty-three year older novel. 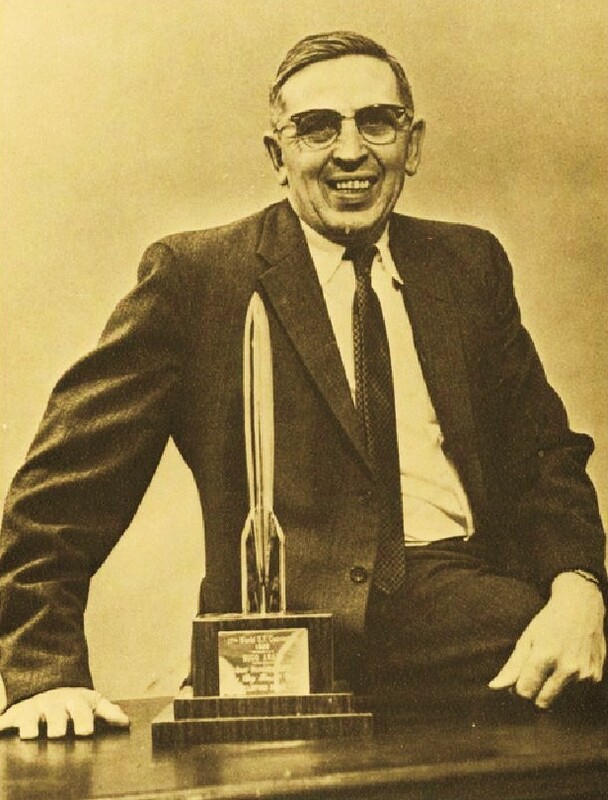 Simak writes science fiction, but like his contemporary Theodore Sturgeon, he has learned that good SF isn't puzzles or action scenes, but stories about people and how the SF elements affect them. You come to like these characters and wish the best for them. Simak keeps you guessing to the literal last chapter what will happen to Mastodonia. "Overall, I have written in a quiet manner; there is little violence in my work. My focus has been on people, not on events. More often than not I have struck a hopeful note... I have, on occasions, tried to speak out for decency and compassion, for understanding, not only in the human, but in the cosmic sense. I have tried at times to place humans in perspective against the vastness of universal time and space. I have been concerned where we, as a race, may be going, and what may be our purpose in the universal scheme—if we have a purpose. In general, I believe we do, and perhaps an important one."